Professor Warren W. Wood is a highly distinguished scholar renowned for his contributions to hydrogeology. He is currently Visiting Professor of Geosciences at Michigan State University, USA where he has been since 2003. Warren is also an Adjunct Professor at King Fahd University of Petroleum and Minerals Saudi Arabia; Christiansen Fellow, St. Catherine's College, Oxford University, UK; and Scientist Emeritus with the U. S. Geological Survey. Warren was a Research Hydrologist for the U. S Geological Survey in Reston, Virginia from 1980 to 2003. 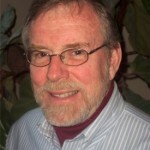 His professional activities have included Chair of the Hydrogeology Division of GSA, service on the Board of Directors of both the National Ground Water Association and American Ground Trust and several program chairs for AGU. Warren was the GSA’s Distinguished Birdsall (later named Birdsall-Dreiss) National Lecturer, been an invited lecture at over 100 universities in 16 countries, and has served as Editor-in-Chief of the journal Groundwater, and Associate Editor of Water Resources Research, Hydrogeology Journal, Geotimes, and Hydrogeology and Engineering Geology of the China Geological Survey. Warren has received numerous recognitions for his work including the Meritorious Service Award from the U. S. Department of Interior, the M. King Hubbert Medal from the National Ground Water Association and he is a Fellow of the Geological Society of America. Warren has published over 100 refereed journal articles and for the last 30 years his research interests have been in the hydrogeology of arid or semi-arid areas. He has particular interests in variable density groundwater phenomena, and their application to salt lake systems.